You’ve probably seen these all-in-one one-hitter boxes before, but have you seen one this cool? This dope little dugout box is made of acrylic swirls, comes in seven cool color combinations, and has a perfectly contoured “pistol grip” to feel great in your hand. 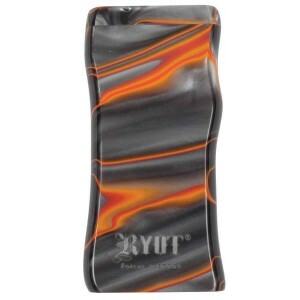 This cool RYOT dugout has two compartments, one for a one-hitter, and one for your “herbal material”. It’s also loaded with awesome features including a poker, a magnet to hold the poker in place, and ANOTHER magnet to keep the lid shut! I LUV MAGNETS!